Our company is regarded as a specialist in offering a huge array of Turbine Air Ventilator and also Natural Air Ventilator, Roof Air Ventilators, Turbo Air Ventilator. These ventilators are renowned for their sturdy spider type frame construction to withstand adverse weather conditions. 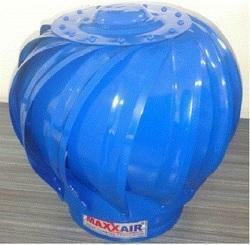 Our company is a specialist in offering a huge array of Turbine Air Ventilator. These ventilators are renowned for their sturdy spider type frame construction to withstand adverse weather conditions. Our company is regarded as a specialist in offering a huge array of Turbine Air Ventilator. These ventilators are renowned for their sturdy spider type frame construction to withstand adverse weather conditions. Turbine Air Ventilators Rs 5,000/1 nos. Trading, manufacturing, distributing, wholesaling and supplying of supreme quality Turbo Ventilators has helped us achieve a very high level of trust in the market. 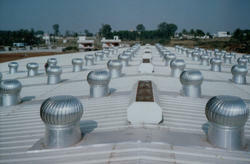 We "Snehaa Plasto" are leading Manufacturer and supplier of Air Ventilator. We “Enviroshine Industries are a Proprietorship Firm, engaged in manufacturing, retailing, trading and wholesaling the finest quality Air Ventilator, Mobile Toilet Van, etc. Product Description:Our company is regarded as a specialist in offering a huge array of Turbine Air Ventilator. These ventilators are renowned for their sturdy spider type frame construction to withstand adverse weather conditions. We have gained recognition as an eminent enterprise, devotedly engaged in manufacturing a broad range of Air Ventilator. Leveraging the skills of our qualified team of professionals, we are engaged in providing Turbo Vents. Used For Ventilation Powered By Wind. Air Ventilator is strong, light weight in construction and manufactured from high grade aluminum and stainless steel. With slight breeze is adequate to rotate the ventilator. It is used in factories, warehouses, workshops and houses. We have available with us a precision-engineered range of Rooftop Air Ventilator which is based on the latest principle of operation. Rotating vanes of the turbo vent creates low pressures zone due to the centrifugal force.